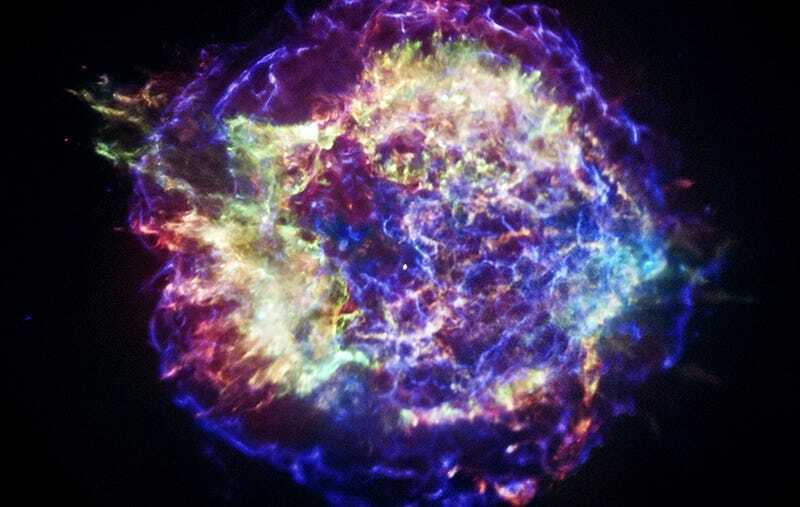 Check out the amazing new image that NASA just released of Cassiopeia A, the remains of a supernova that would have been visible from Earth 300 years ago. This new composite image was released to promote a new 3-D visualization tool that will allow more people to study Cas A. Scientists have combined data from Chandra, NASA's Spitzer Space Telescope, and ground-based facilities to construct a unique 3D model of the 300-year old remains of a stellar explosion that blew a massive star apart, sending the stellar debris rushing into space at millions of miles per hour. The collaboration with this new Smithsonian 3D project will allow the astronomical data collected on Cassiopeia A, or Cas A for short, to be featured and highlighted in an open-access program — a major innovation in digital technologies with public, education, and research-based impacts. 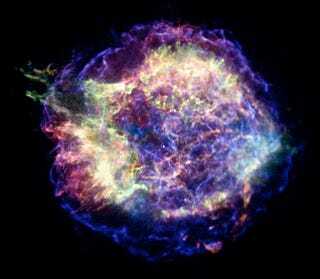 See more details, including a guided tour of the 3-D visualization tool, over at the Chandra site.